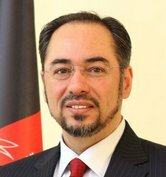 Tolo News: Concerned about reports of Afghanistan issuing passports to people from other countries, India has moved to tighten visa controls for Afghans, said the Minister of Foreign Affairs, Salahuddin Rabbani. Rabbani was summoned by the Meshrano Jirga (Upper House of Parliament) on Sunday to explain the issue of visa restrictions by India and the United Arab Emirates for Afghans. Click here to read more (external link).